The Arisen's Room is where the Newly Arisen lives in the White Dragon Temple. The room is located in the Relay Station District, in the upper level of the building that houses the inn and the trainers Archibald and Renton. 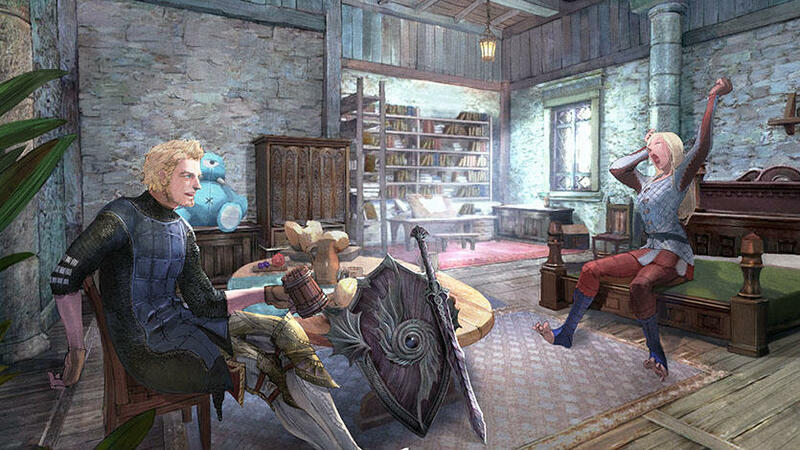 Introduced in Season 2.0, player Arisen can interact with a main pawn in the Arisen's Room, as well as furnish it with various furniture and decorations. 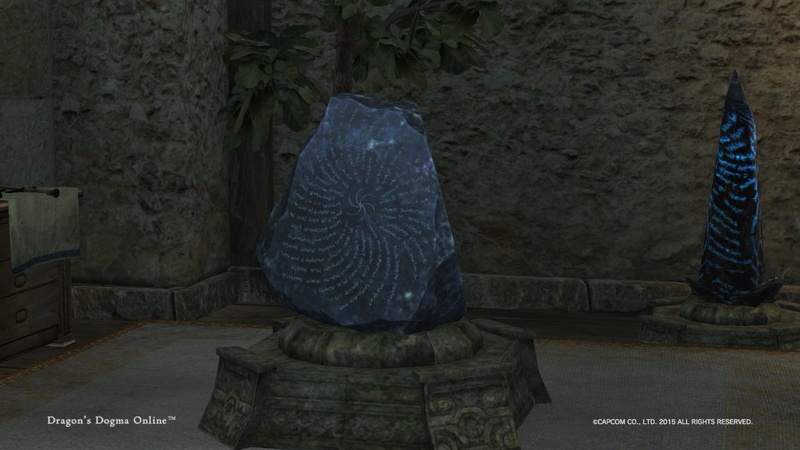 After completing the Personal Quest: Living With The Partner Pawn - パートナーポーンとの暮らし, the Arisen can assign one main pawn as the Partner Pawn by selecting the relevant option from a Riftstone. 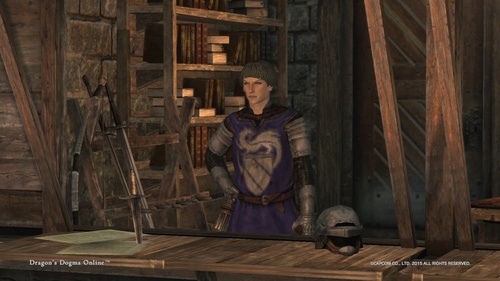 The Partner Pawn will then appear in the Arisen's Room and can interact with the Arisen. Affection-increasing interactions with the Partner Pawn will be reset everyday at 5.00 AM JST. Affection levels are unique to each main pawn; they are not shared. 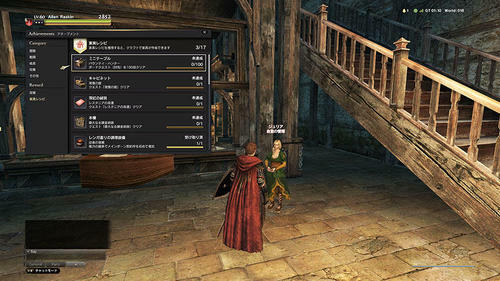 Players can perform quests with their Partner Pawn in order to obtain rewards and to increase the Partner Pawn's affection level. In order to unlock these Personal Quests, the Partner Pawn's affection level must be at the required level. 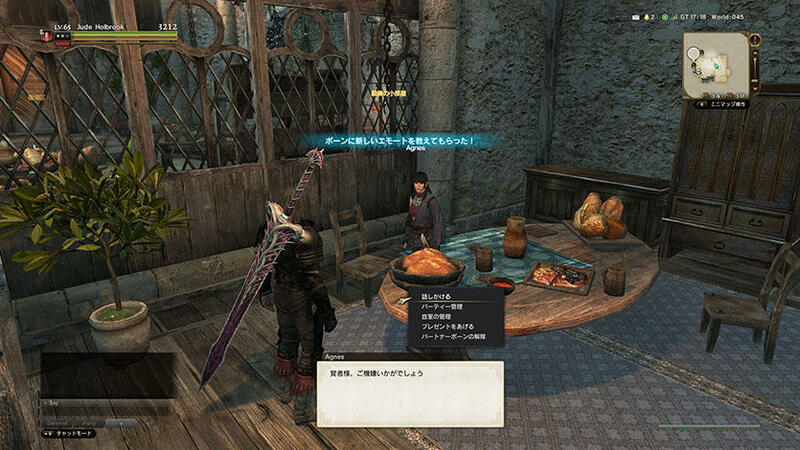 When the affection level is sufficient, the option Grant Request - お願いを聞く will appear in the menu when speaking to the Partner Pawn while in the Arisen's Home. For more details, click here. 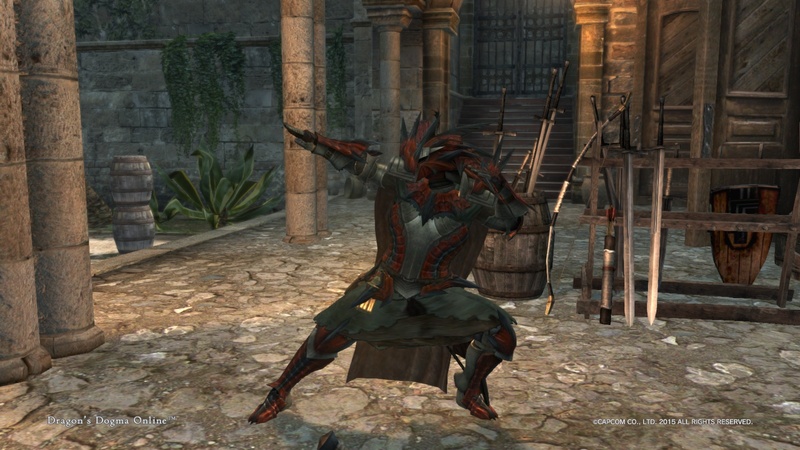 The Partner Pawn can also be dispatched on Pawn Expedition mission once per day. Please refer to this page for more details on the Pawn Expedition. 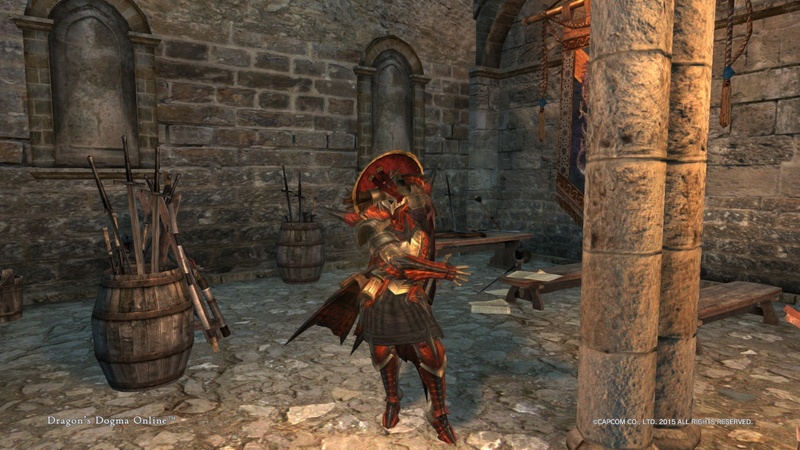 Increasing the Partner Pawn's affection level will result in the Partner Pawn giving 'gifts' to the player Arisen at each affection level, such as new emote poses, new options for the character creator, and secret abilities. The following are the gifts given by the Partner Pawn at each level of affection. 1 ポーズ・参上1 Pose: I'm Here! #1 Emote Pose A pose to announce one's arrival to the scene. 2 愛に目覚めた Affection Awakened Achievement Unlocks the Dinner Set furniture recipe. 3 友体 Companion's Constitution Secret Ability Increases maximum HP of Main Pawns in party. 4 友攻 Companion's Combat Secret Ability Increases maximum Strength of Main Pawns in party. 5 ポーズ・参上2 Pose: I'm Here! #2 Emote Pose A pose to announce one's arrival to the scene. 6 愛をください Love Me Achievement Unlocks the Lestanian Puppet - Giant Cyclops furniture recipe. 7 意思疎通力が上がりました！ Mutual Understanding Upgraded! Pawn Communication Upgraded pawn conversation and chatter patterns. 8 髪型EX EX Hairstyle Hairstyle Option Unlocks a new hairstyle in the character editor. 9 友防 Companion's Defence Secret Ability Increases maximum Physical Defence of Main Pawns in party. 10 ポーズ・独創的2 Pose: Unique #2 Emote Pose A unique and creative pose. 11 意思疎通力が上がりました！ Mutual Understanding Upgraded! 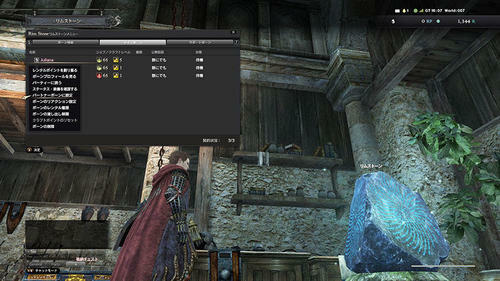 Pawn Communication Upgraded pawn conversation and chatter patterns. 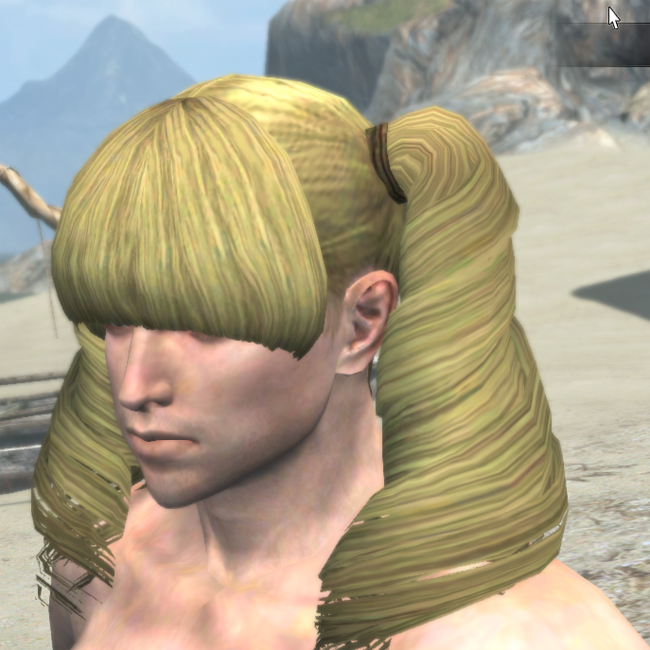 12 髪型EX EX Hairstyle Hairstyle Option Unlocks a new hairstyle in the character editor. 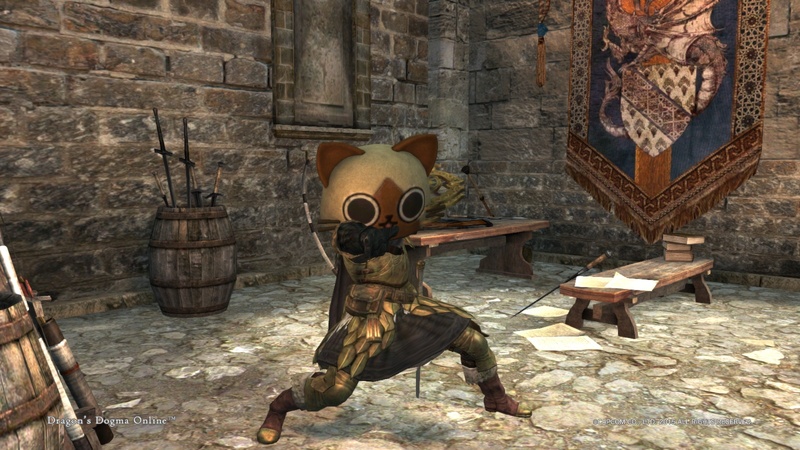 13 友活 Companion's Action Secret Ability Increases maximum Stamina of Main Pawns in party. 14 ポーズ・参上3 Pose: I'm Here! #3 Emote Pose A pose to announce one's arrival to the scene. 15 意思疎通力が上がりました！ Mutual Understanding Upgraded! Pawn Communication Upgraded pawn conversation and chatter patterns. 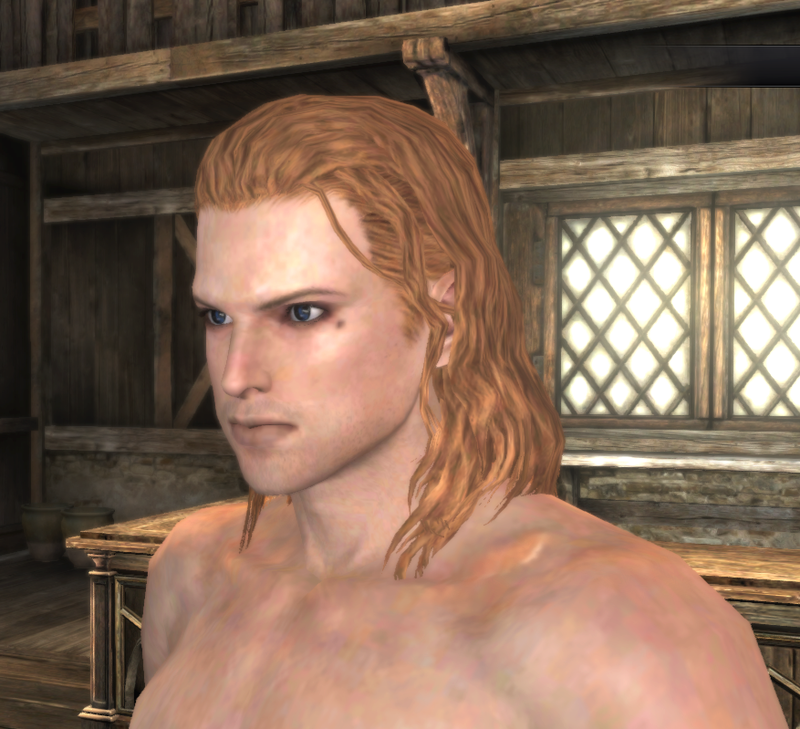 16 髪型EX EX Hairstyle Hairstyle Option Unlocks a new hairstyle in the character editor. 17 友魔 Companion's Magick Secret Ability Increases maximum Magick of Main Pawns in party. 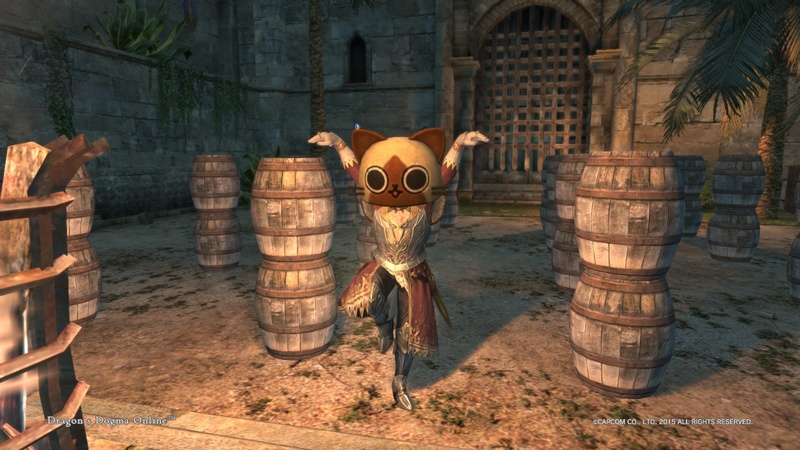 18 友護 Companion's Ward Secret Ability Increases maximum Magick Defence of Main Pawns in party. 19 ポーズ・参上4 Pose: I'm Here! #4 Emote Pose A pose to announce one's arrival to the scene. 21 髪型EX EX Hairstyle Hairstyle Option Unlocks a new hairstyle in the character editor. 22 愛をこめて With Love Achievement Unlocks Servant's Sleepwear - Type 1 - 従者の寝巻き・タイプ１. 23 意思疎通力が上がりました！ Mutual Understanding Upgraded! Pawn Communication Upgraded pawn conversation and chatter patterns. 24 愛こそすべて All You Need Is Love Achievement Unlocks Servant's Loungewear- Type 2 - 従者の部屋着・タイプ２. 25 意思疎通力が上がりました！ Mutual Understanding Upgraded! Pawn Communication Upgraded pawn conversation and chatter patterns. 26 愛は勝つ Love Will Win Achievement Unlocks Servant's Bathing Clothes - Type 3 - 従者の湯浴み着・タイプ3. 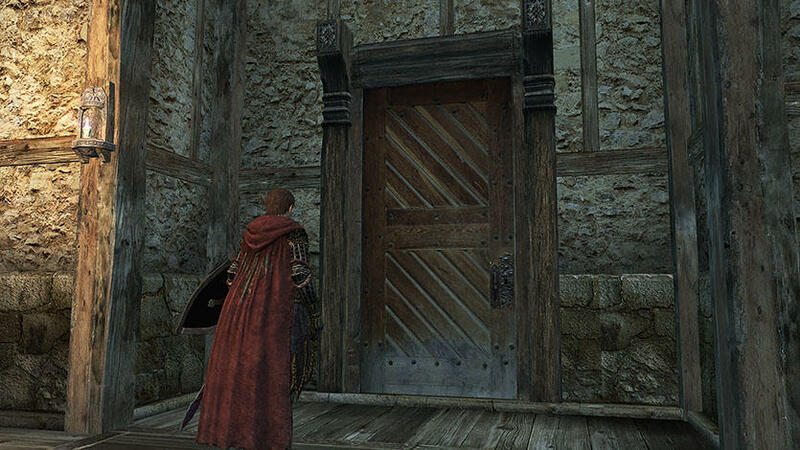 In order to furnish the Arisen's Room, the player Arisen will have to craft furniture and decorations. Recipes for these items can be obtained as rewards from obtaining enough Achievements. Simply redeem the rewards by selecting Furniture Recipes - 家具レシピ in the Achievements - アチーブメント option from the in-game menu. Once a furniture recipe has been obtained, the furniture can then be crafted in the Craft Room. A list of furniture can be found here. Furniture can be placed in the Arisen's Room by speaking to the Partner Pawn and selecting the Room Management - 自室の管理 option. Then select the relevant area and the item you wish to place in your room. 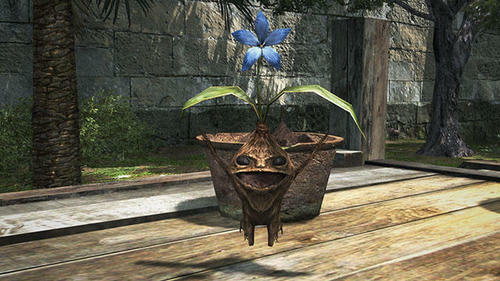 Players can also cultivate or rear Mandragora in the Arisen's Room. For more information, refer to the Mandragora Cultivation section. There is a Riftstone, a mini Portcrystal, as well as a training area made accessible from the Arisen's Room. 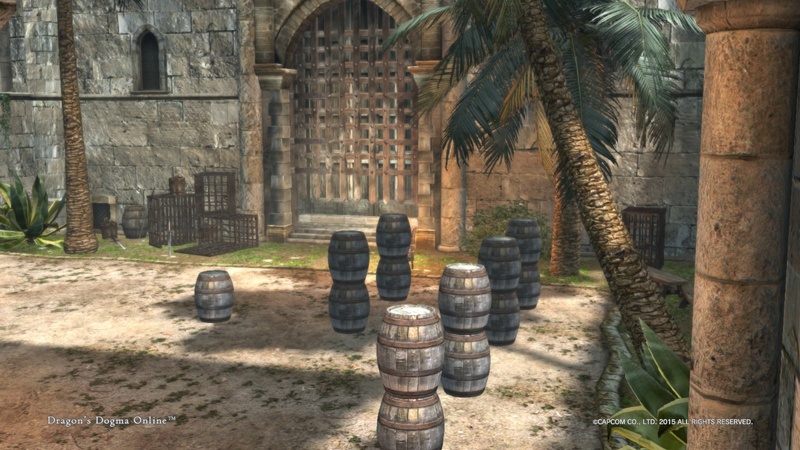 The bathing area also allows for additional bath tub upgrades that can temporarily increase the player Arisen's maximum health or stamina. The staircase to the lower level of the Arisen's Room will lead to a training area. 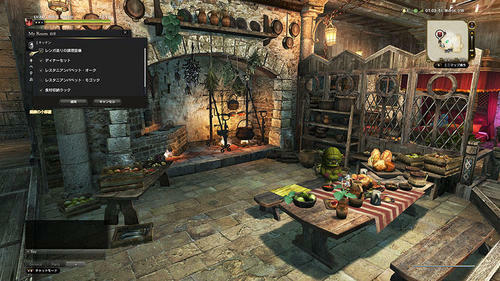 The training area also can be accessed from the inn from the door behind the innkeeper's counter. 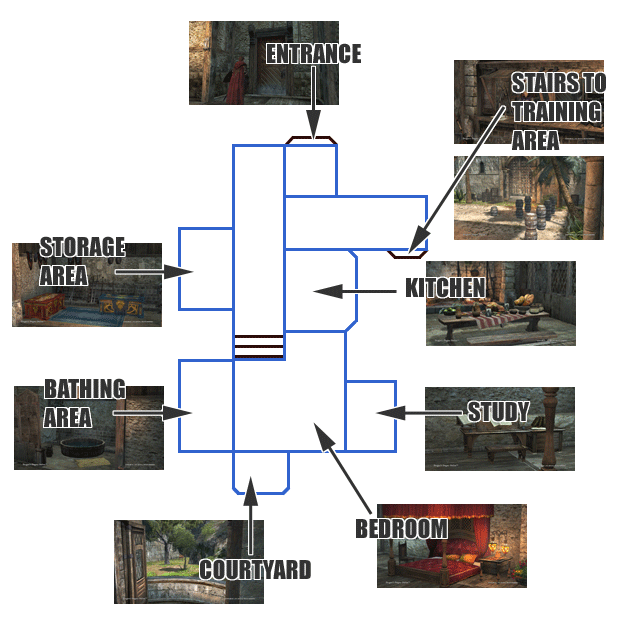 The training area also leads to the Bonus Dungeon. Speak to the Knight behind the counter to populate the training room with enemies to practice your skills on. 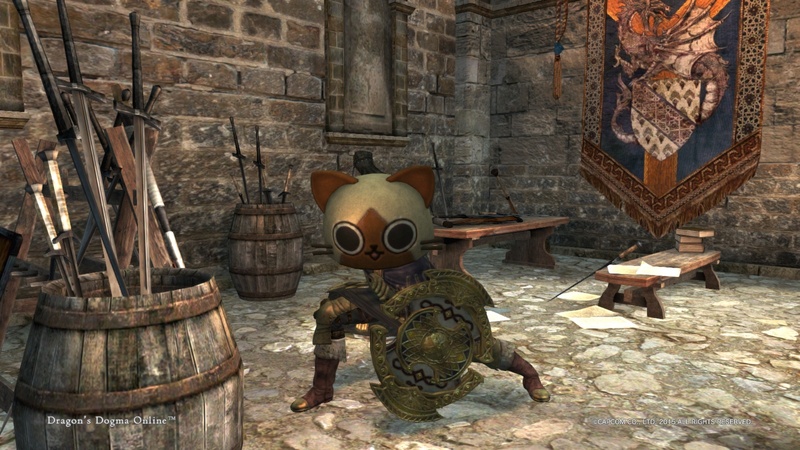 These enemies will not give you any EXP.